A well-organised bookcase is a real asset to your home, we stock a variety of shelves and storage options at CP Furniture Sales to help keep your home library safe and neatly stowed away. How do you organise paperbacks and hardbacks though, surely this is quite a complicated task? Actually it’s not, there are various systems you can use to arrange books and we’ve listed a few of them in this article. Alphabetically –Take the local library approach and stack your books on shelves in alphabetical order. It might take you a while to organise if you have quite a large collection of books but it should make things easier when you are searching for author’s names in the future. If you really want to be organised create a journal that lists all of your titles a- z, make a note of their shelf position and you’ll never have trouble finding them. Categorise – Sort books into genres. Keep all your murder mysteries on one shelf, poetry books on another, cookery books on other and so on. Work through your collection, categorise each book and you can list them a –z into different subject areas, go through your collection from art to zoology. Size books up – If you’re a tidy person think about starting with your smaller books and work your way up. 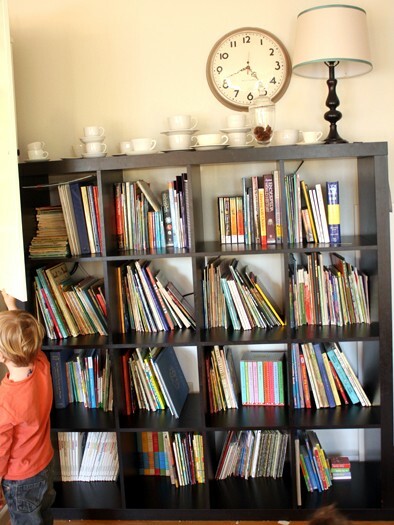 Use a bookcase that has different shelf depths and sizing books up makes a great deal of sense. Put small paperbacks together and place hardback travel journals side by side. Colour match books – Is your library more for display purposes rather than reading? Why not colour coordinate the collection then? Use the spines of the books to create harmonising patterns on the shelves of your bookcase, you could have a shelf for red, shelf for blue or shelf for green books instead.